Get ready for the ride of your life! 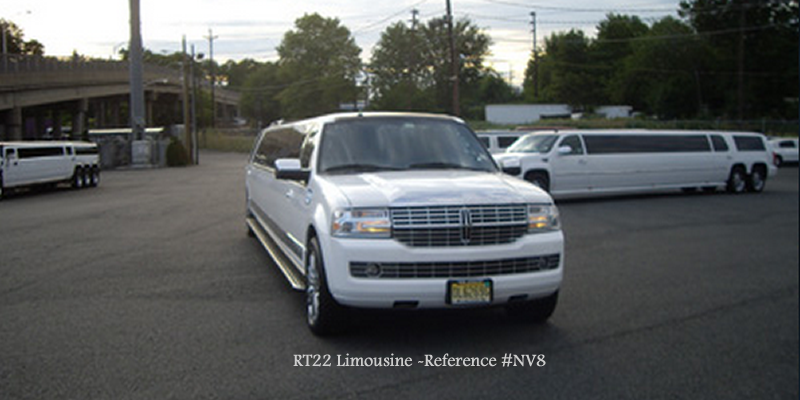 RT22 Limousine has the largest variety of SUV's Limousines in all of New Jersey and metro areas. 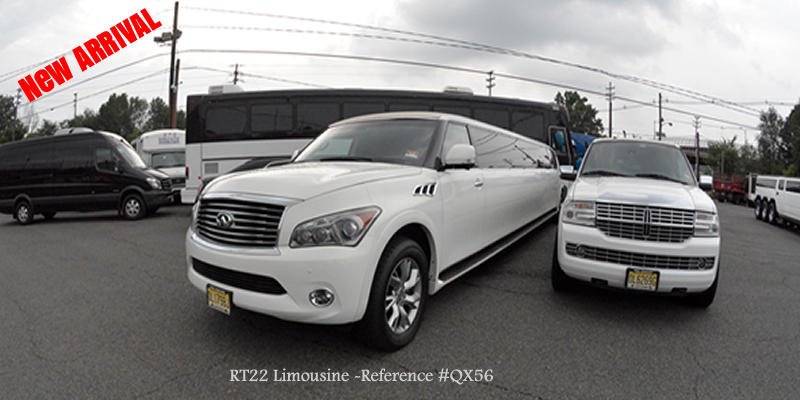 Our amazing fleet of SUV's Limos holds a variety of looks from elegant to wild. 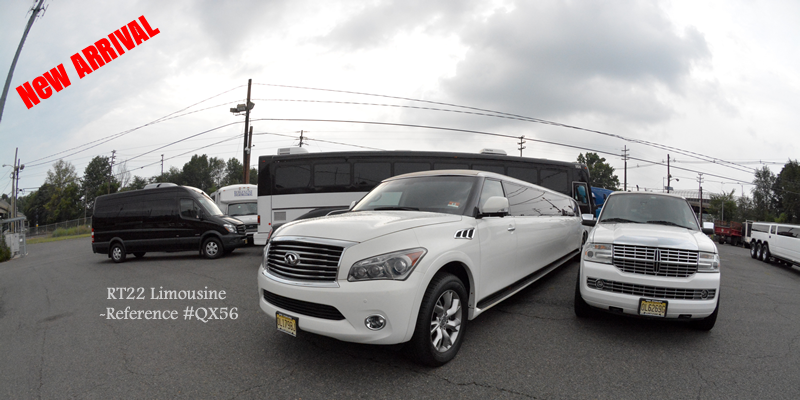 Select the perfect SUV Limo look for your special event or occasion. 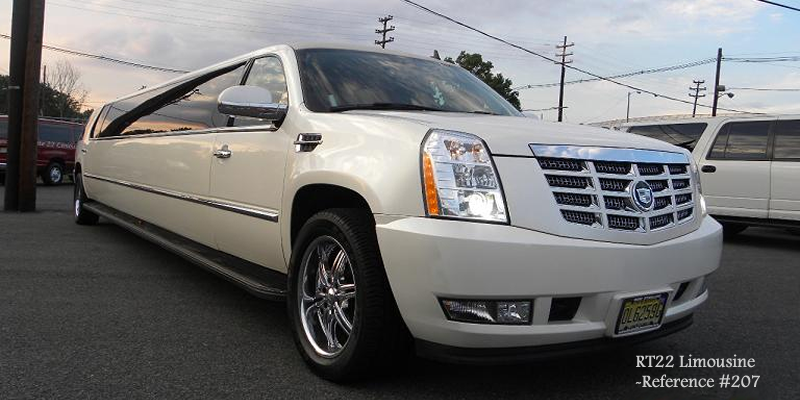 Our SUV Limousines are perfect for weddings, bachelor parties, nights out on the town, and more. These spacious limos can hold from 18 to up to 30 guests and feature all the amenities one would expect from a luxury SUV Limousine. Our Stretch SUV limousines are custom designed utilizing all modern conversational and space practices to allow you to entertain and sneak in a little business. With comfortable club seating and chilled refreshment centers within reach of every passenger, you can not find a better space to entertain or close a deal. 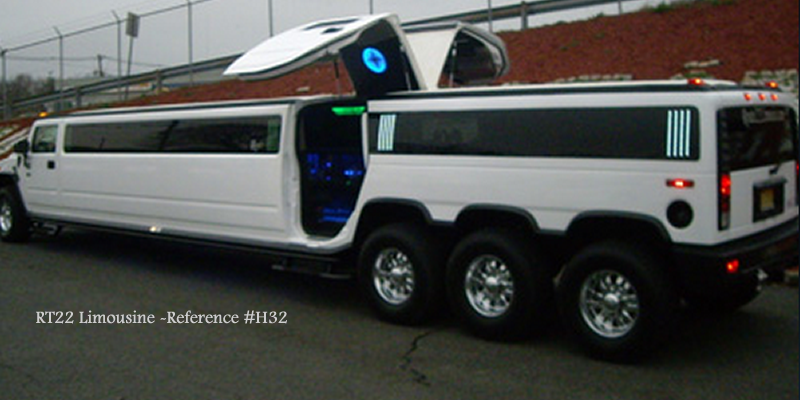 An SUV limousine offers high style and high capacity to provide you with a luxurious experience. An SUV is perfect for corporate transportation or a less conspicuous night on the town. 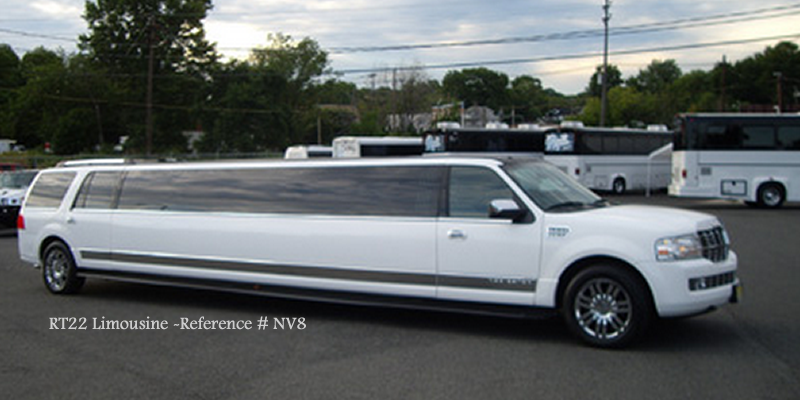 A stretch SUV is the perfect choice for a large group, birthday party or concert. 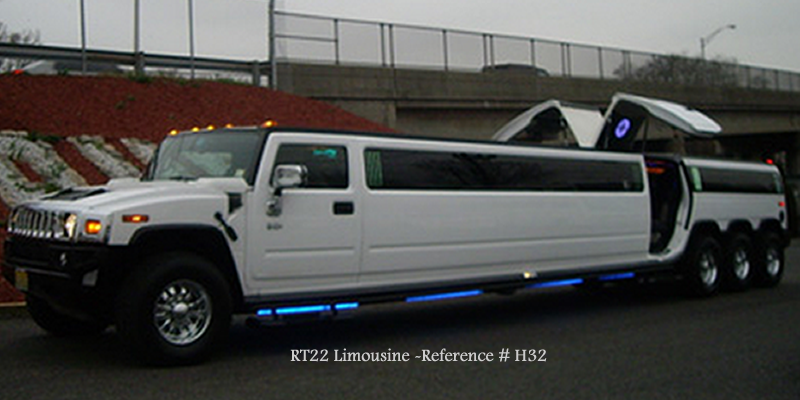 Let Route 22 Limousine re-define urban transportation in an elegant and useful way with your SUV transportation. Exterior modesty combined with interior opulence describes the most luxurious SUV limousines available. From the refined LXT to the flagship Navigator, we know how to provide superior SUV limousines to fulfill any need with class and quality. 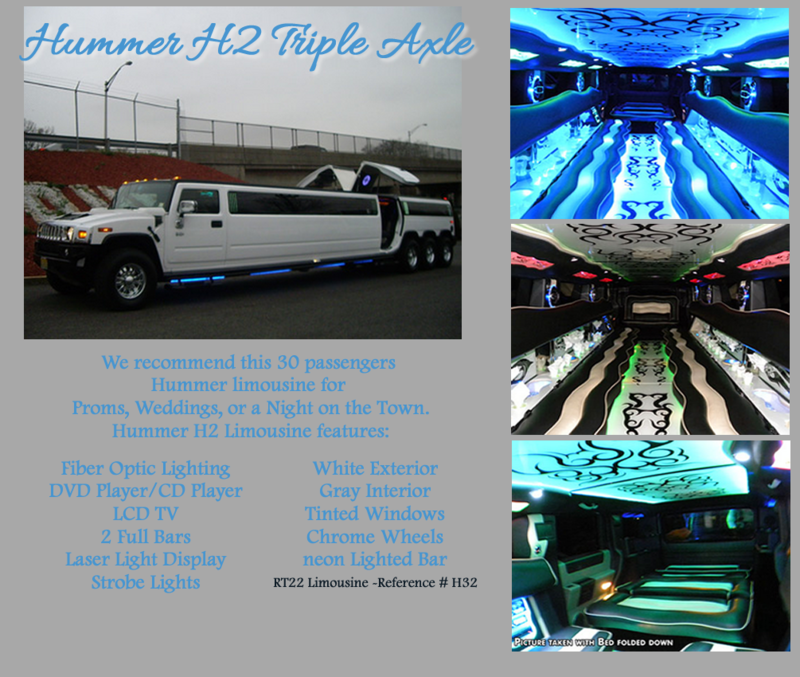 We recommend this 30 passengers Hummer limousine for Proms, Weddings, or a Night on the Town. Refer to car H32 when calling. 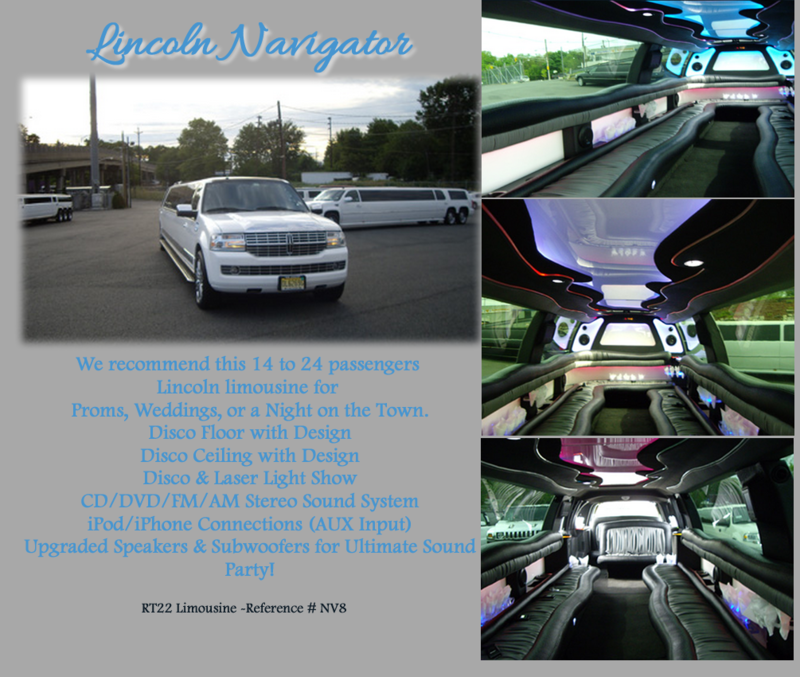 We recommend this 14 to 24 passengers Lincoln limousine for Proms, Weddings, or a Night on the Town. Refer to car NV8 when calling. 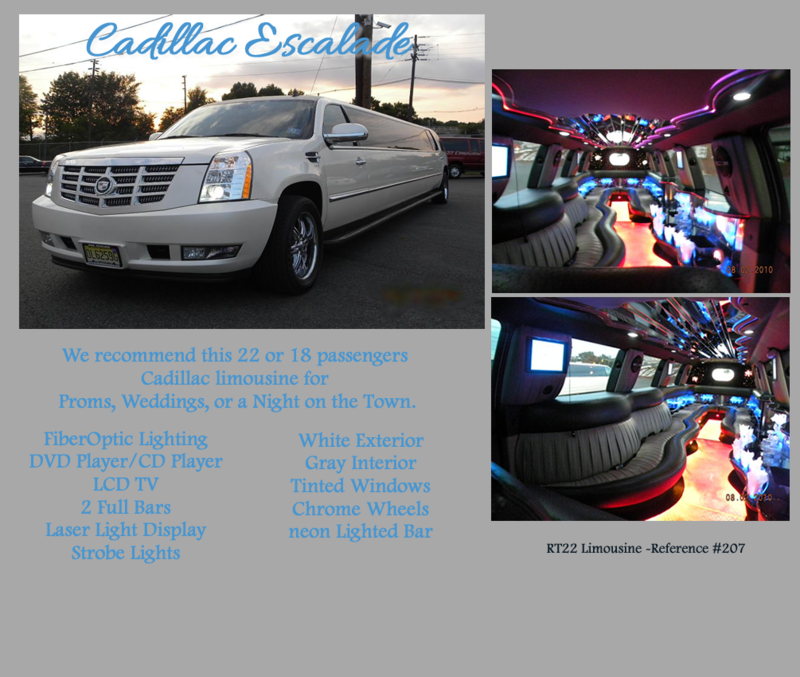 We recommend this 22 or 18 to 30 passengers Cadillac limousine for Proms, Weddings, or a Night on the Town. Refer to car 207 when calling. 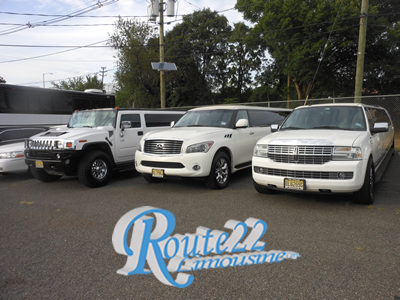 Route 22 Limousine has been your wedding and prom specialist for over 28 years. Whether you are looking to have a fun night out in the town, get to your corporate function in style or a prompt-hassle-free airport ride. 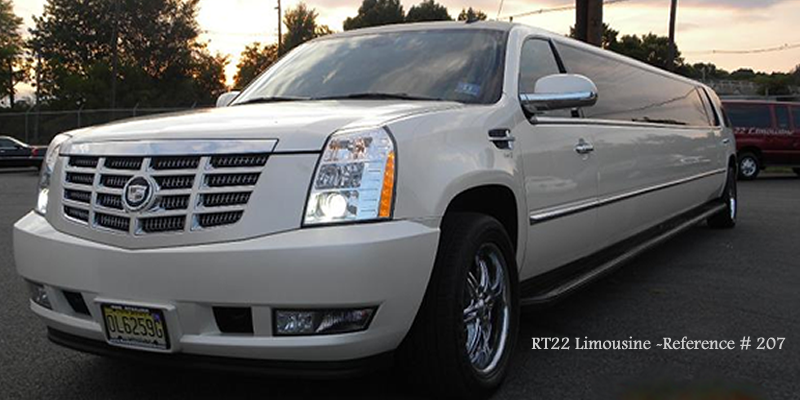 Route 22 Limousine will surpass your expectations. Our largest selection of Classic Antiques, SUV’S Stretch Limousines, Exotics and Traditional Limousines Stretches, Limousines Coaches and Party Buses will suit all your needs for your special occasion.